On this page you can find and free download Volvo Penta workshop, service, repair and owner's manuals in PDF. Also here are wiring diagrams. Volvo Penta is a Swedish company, part of the Volvo Group, a manufacturer of marine and industrial engines. Penta was founded in Skövde (Sweden) in 1907 to develop the first B1 marine engine. There are two versions of the appearance of the name Penta. According to one version, five people took part in the development of the first engine. On the other - only the fifth set of drawings was approved for the creation of a motor in the gland. Penta's engines quickly became popular. In 1927, Penta received an order for the supply of engines for the production of the first Volvo car. In 1935, Volvo bought the shares of Penta and since then the Volvo Penta is part of the Volvo Group. 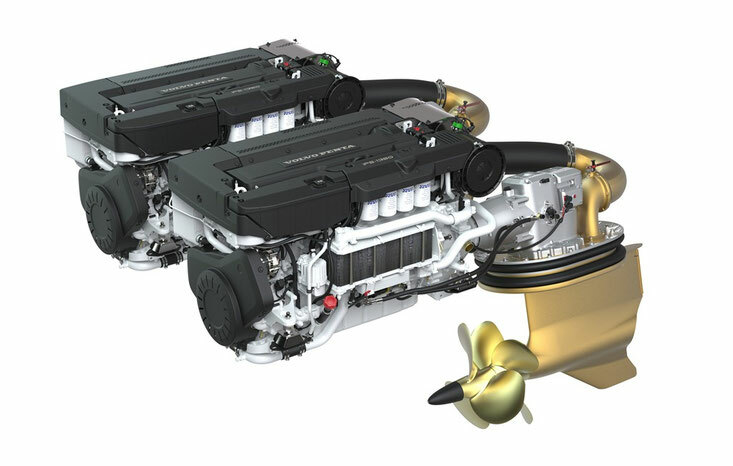 Volvo Penta supplies engines and power plants for pleasure boats and yachts, as well as boats intended for commercial use ("working" boats) and diesel power plants for marine and industrial use. The engine range consists of diesel and gasoline components, ranging from 10 to 1,000 hp. Volvo Penta has a network of 4,000 dealers in various parts of the world. Among the company's innovations in the field of shipbuilding are a tilt-turn column and Duoprop counter-rotating screws. In recent years, Volvo Penta has proposed a new propulsion system with pulling screws and a joystick to control it.